On Monday I worked 100% distraction-free for hours for the first time in recent memory. I was completely sucked into my work and it all happened by accident. I’ll tell you how in this post. I have this big secret project that I can’t tell you about. Not yet at least – hopefully soon! I’m a little behind where I want to be on it so on Monday I decided I needed to make a huge dent in it. For the project I need to do several screen captures (hint!) and know I won’t be doing them all in one day or in any structured order whatsoever. I decided it’d be best to turn off the date and time display in my menu bar. For the first twenty or so minutes it felt very weird. I’ve engrained it in my psyche to check the top-right corner of my screen all the time. If I were writing this on Sunday I’d be checking the clock between every paragraph. It would just be a glance. No harm, right? I’ll get to that in a moment. Once I got over the initial shock of not having a clock displayed the work seemed to flow seamlessly out of me. What happened next shocked me. I kept working until I got to a solid stopping point. That stopping point was further than I expected to even get that day. Then I flipped over my phone to check the time and realized it’d been over two hours!!! I was floored. I even completely skipped the time I set aside to eat. So I grabbed a quick bite, responded to a couple emails, walked Peyton and went back to work. An hour later I was done with a project that on any other day would have taken me all day to do half as much. And it only took three hours. I struggle with distractions like everyone else. I want to check Twitter, Facebook and email every few minutes. Social media/email/dumb games on my phone… All these things drag me down everyday. I enjoy them and they have their benefits but they constantly limit my productivity and effectiveness. It’s not nearly to the addiction level but, yeah, I do feel this mental resistance when I don’t check these things often. However, like I just mentioned, if that clock isn’t there I don’t have quite the urge to go check these things and break my focus. I’ve came across many posts/articles that talk about this primal sense of gratification we get when we receive a new alert or better yet a new mention on Twitter. We can’t help it. It makes us happy and we want to do it again and again and again. I have been working on this problem for myself for a while and it’s still not solved but seriously turning off the clock has helped me tremendously in just a couple days. Another problem I have is that I love playing random songs I find on YouTube, especially while I work. Every few minutes I have to get out of whatever application I’m in, switch to Safari and pick a new song. Not only do I get distracted because I’m leaving my current task, but I have to make a decision which even though it’s so insignificant it takes away from my mental energy for the day and taxes my focus on my current task. And worse? I have to wait 5 seconds to click “skip ad” the majority of the time. I know, I know – I just need to create a playlist and they’ll autoplay. However even with a playlist I’m still left with ad dilemma. 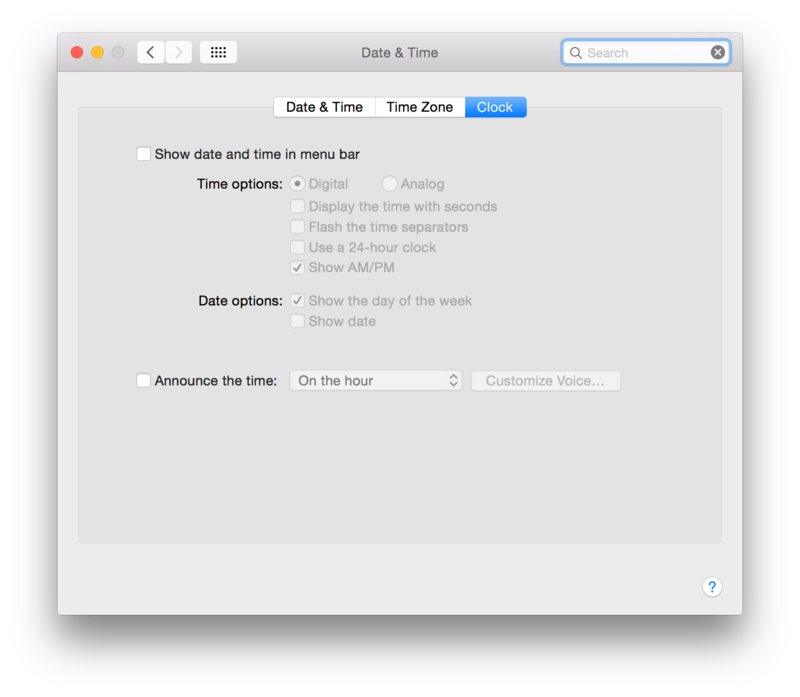 Mac people – here’s how you turn off your date and time display. 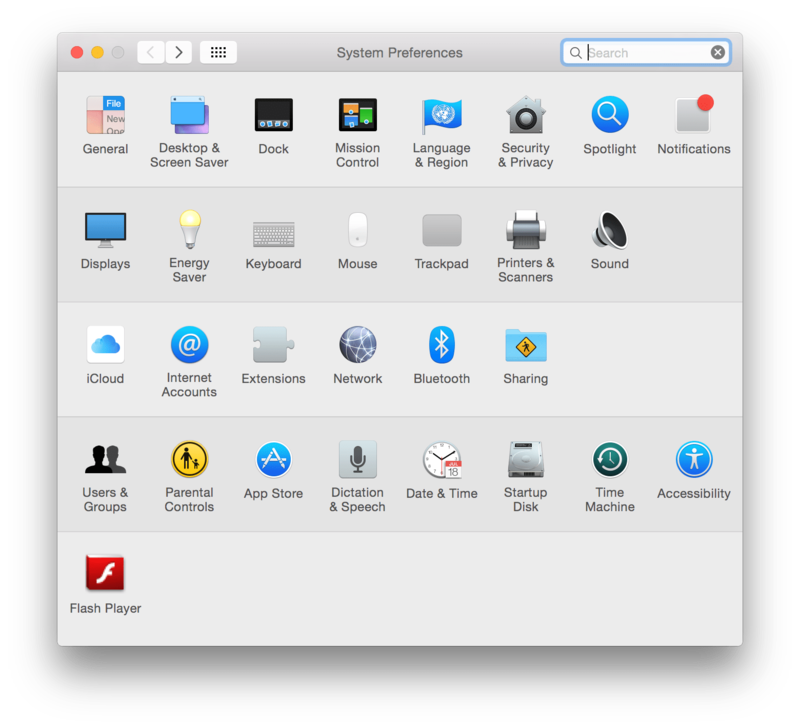 Go to your System Preferences. You can find that in your Apps folder or by typing it into your search bar in Launchpad. Go to the Clock tab. Uncheck “Show date and time in menu bar”. Windows people – here’s how you turn off the clock in your menu bar. I’m going to try this out for a few more weeks and see how it goes. I might turn the clock back on when I’m done working for the day but so far this is going really well for me. I’m loving these results and hope they keep up. Are you up for a little experiment of your own? Why don’t you try this out for a morning and see how it goes? I think you’ll be surprised. 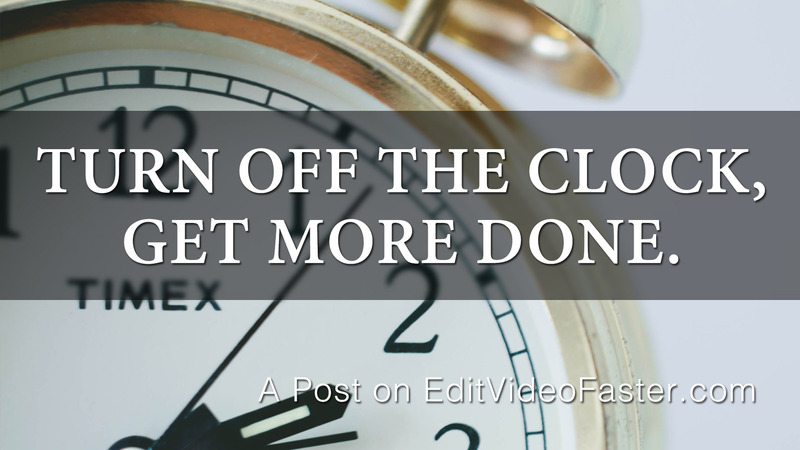 Do you think you can be more focused by turning off your clock? Let me know your thoughts and results in the comments! Do me one quick favor after leaving your comment, please! Share this post with another video editor or creative professional you think could benefit from this post. Thanks and I’ll see you on Friday with a new tutorial! Very interesting concept. I will have to give this one a try! I am easily distracted and the nature of my job has me switching edit projects constantly. Thanks for the tip! Thanks! Good luck and let me know how it goes!